I learned to ski in the cold — the Green Mountains of Vermont, the Laurentians of Quebec. I lost a girlfriend by introducing her to my favorite sport when it was minus 20 at Sugarbush, almost gained a divorce by repeating that trick at the same temp at Jay Peak. The one and only time I’ve refused to buckle up because of cold was at Mont Tremblant on a morning it was minus 39 … at the base. The rest of my colleagues at the UVM Outing Club thought I was a sissy and merrily skied off without me. Local: Sorry about the cold. It was a lot nicer last week. Me: How cold is it? I restrain myself and do not point out that 26 degrees above zero is the ideal, the perfect, the most wonderful temperature to ski. I don’t point out that while he is covered in Gore Tex from his gurgle to his zatch, I’m wearing a zipped-down turtleneck and a vest. So. I’ve gone from cold to warm. Sure, my blood is thinning and my character shrinking, but really, no complaints. Only now I’m heading back into the cold. Real cold. Deep cold. Banff, Alberta, Canadian cold. So, this time I’m prepared. Hyper-warm Helly Hansen Racer jacket. Merino layered Helly Hansen Warm pant. Turtle Fur hood. K2 helmet with closeable vents. Serius serious gloves. A Transpack heated boot bag. Plus, half a carton of hand warmers. Hand warmers. I’d brought hand warmers the last time, too. Why, then, were my fingers so cold? Because I packed said hand warmers in my carry-on, and TSA declared their potential heat a hazard to flight. Hand warmers on the no-fly list? Who knew? Oh, and maybe my fingers were cold because I was too cheap to buy new hand warmers at a resort shop. Pack yours in your suitcase as I do this time, along with all the rest of my cold-weather gear. No idea. When I get to Banff, it’s warm. Yes, 26-degree warm. 26 above. It feels wrong … but wonderfully, gloriously wrong. And while I’m overdressed for the occasion, the skiing is beautiful. 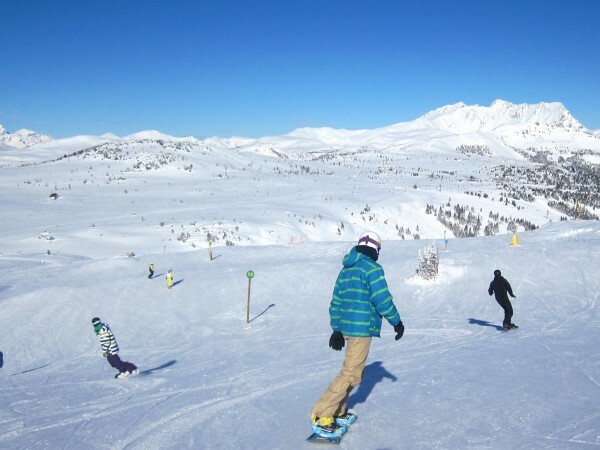 “The skiing is beautiful” usually means great snow — packed powder, fresh fallen or perfectly groomed. And except for the blizzard that whited out Sunshine just as I reached the top, that part held true. 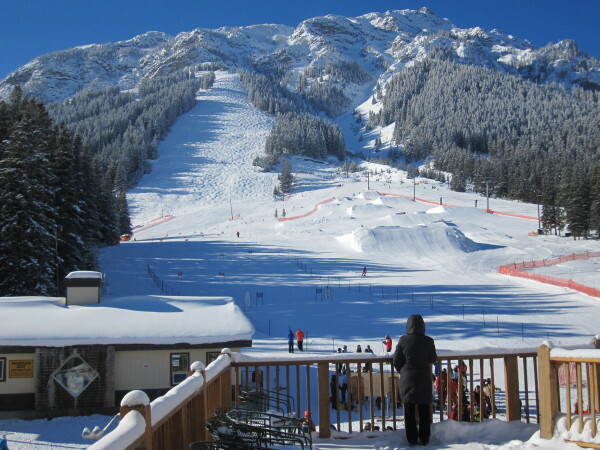 But in Banff, beautiful skiing has another meaning. With the possible exception of the Italian Dolomites, and with apologies to the scenic glories of Lake Tahoe, this is the most beautiful skiing in the world. The mountains don’t just surround the town; they encase it. Whether you’re looking at art in one of the many Banff galleries, lunching at Park Distillery or hot-tubbing at the Willow Springs spa, as soon as you step outside, the mountains fill your eyes. 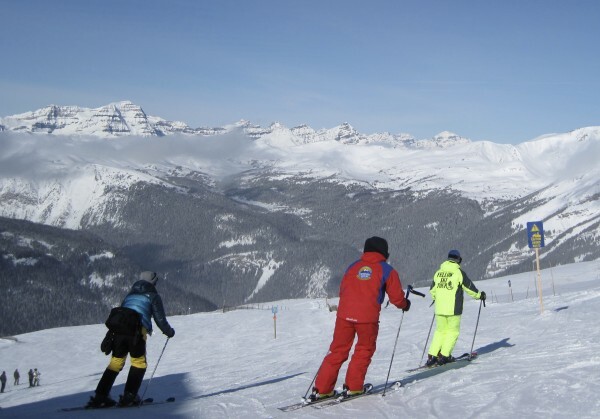 The view from the slopes of the three resorts — Lake Louise, Sunshine Village and Norquay — are so stunning, you have to stop, gasp, and maybe hide the tear in your eye by pulling out a phone for a photo. 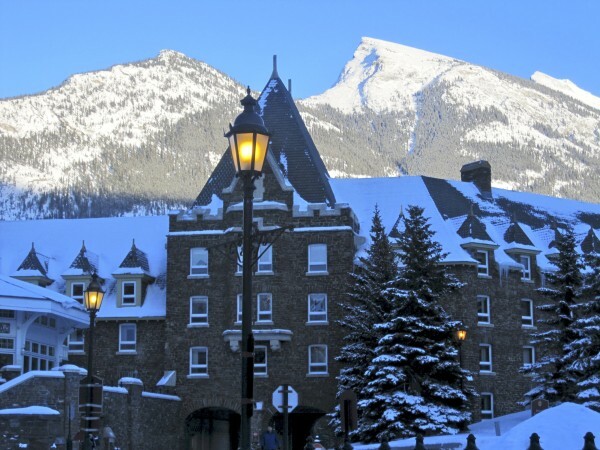 Even the two Fairmont hotels — Chateau Lake Louise and Banff Springs — are dreams of what a Canadian ski resort should look like. Massive, venerable, stately. That’s not an accident. With the exception of nearby Jasper, Banff is the only municipality within a Canadian National Park. It’s gorgeous by nature and gorgeous by law — it may not expand its land base, and it doesn’t truck with ticky-tacky. But this cat was no cougar. She was a lynx. Lynx and cougar, brown bear and black, coyote and wolf, marten and muskrat make Banff their home. 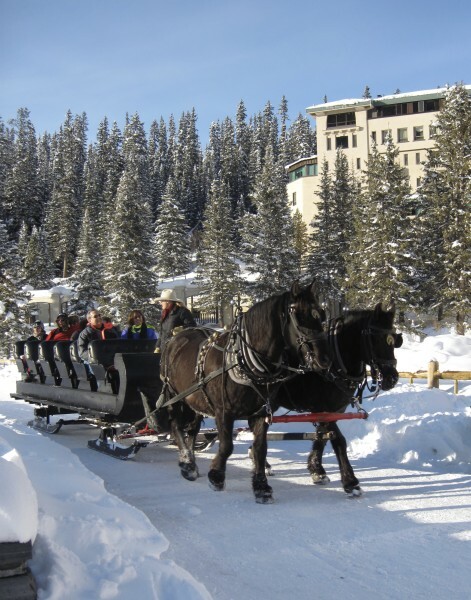 And in warm weather or cold, we have the privilege of joining them in the eye-filling beauty of the Canadian Rockies. 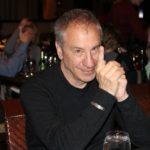 And here’s one more number: Twenty leading ski writers are at their finest in Jules Older’s ski book ebook, SKIING THE EDGE.